One in four Quebecers are caring for a sick spouse, a disabled child, an aging parent or a troubled sibling. The right-leaning CAQ government is promising concrete support, appointing Marguerite Blais as Canada’s first provincial cabinet minister responsible for informal caregivers. David Gutnick’s documentary is called, “What's Love Got to Do with It?" 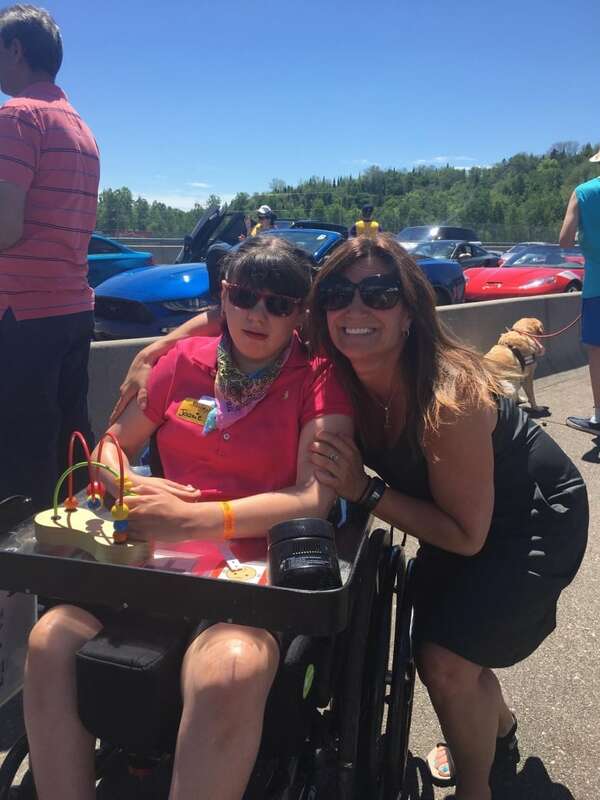 Standing at her place at a round table, clutching a microphone and looking around at the faces of those gathered in a Quebec City auditorium last December, Marie-Claude Senécal described the vicious cycle of many parents with disabled children. "They want a paying job," she said. "But how can they work, when they are needed full-time at home? They are poor and isolated and desperate." Senécal waved her cell phone high in the air. All morning, she said, she'd been receiving texts, non-stop, from her daughter Joanie's sitter. Joanie had had eight epileptic seizures so far that day. What should the sitter do? What time would Senécal be home? Marguerite Blais listened intently, nodding her head as Senécal spoke. Senécal, a member of Parents-Aidants Pour La Vie, was one of some 200 Quebecers — secretaries, teachers, a miner, an insurance agent — attending this workshop at Blais's invitation. 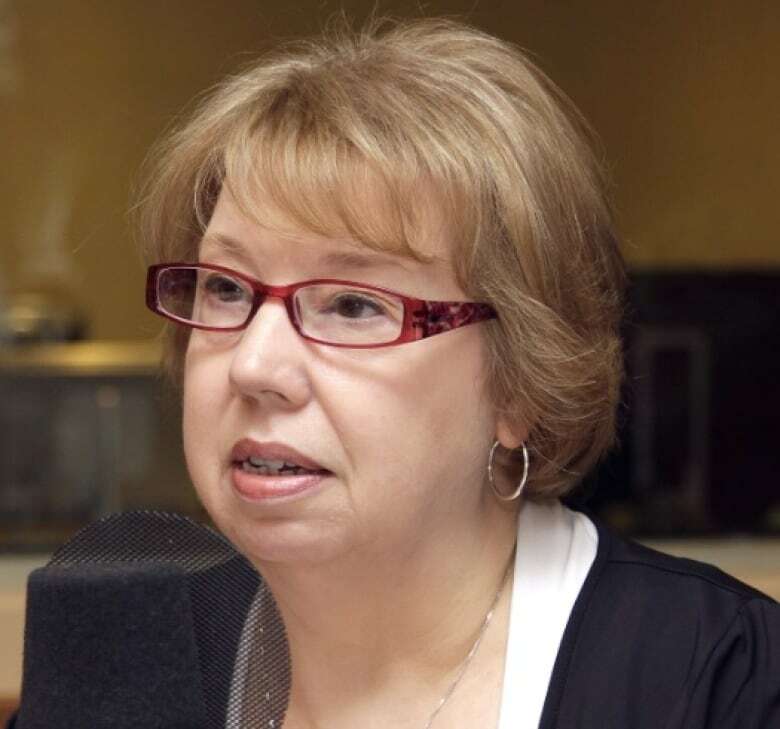 Blais, the newly appointed minister for seniors and informal caregivers, wanted to hear the personal experiences of unpaid caregivers before she begins drafting Quebec's promised new policy for caregivers. "It is so beautiful to see you here," Blais said before the workshop began, "united together for the same cause: for a policy that goes beyond the boundaries of political parties, because it will stand no matter what government is in power." The burn-out was not from her day job, but from the many long months of doing double duty, working at home to care for her husband before he died of cancer. "From one day to another, you become a nurse, you become a pharmacist. You make the appointments," Blais recalls. "I was always awake to make sure he did not fall on the floor." The experience of life as a caregiver "changes all your values, it changes everything," says Blais. Finding ways of improving the lives of unpaid caregivers — the one in four Quebecers who look after a sick spouse, a disabled child, aging parent or troubled sibling — became the fire that burned in Blais's belly. It became a reason to return to politics. Last spring, Blais, 68, approached her former Liberal colleagues with her ideas, but got no commitments. So Blais hunted for a new political home, finding it in François Legault's Coaltion Avenir Québec. Legault, a former Parti Québécois cabinet minister, ex-businessman and self-made millionaire, said from the time he founded the CAQ eight years ago that his plan was to cut taxes and make government more efficient. But he's also a populist, with his ear close to the ground and an instinct for knowing what proposed policies are vote-getters. 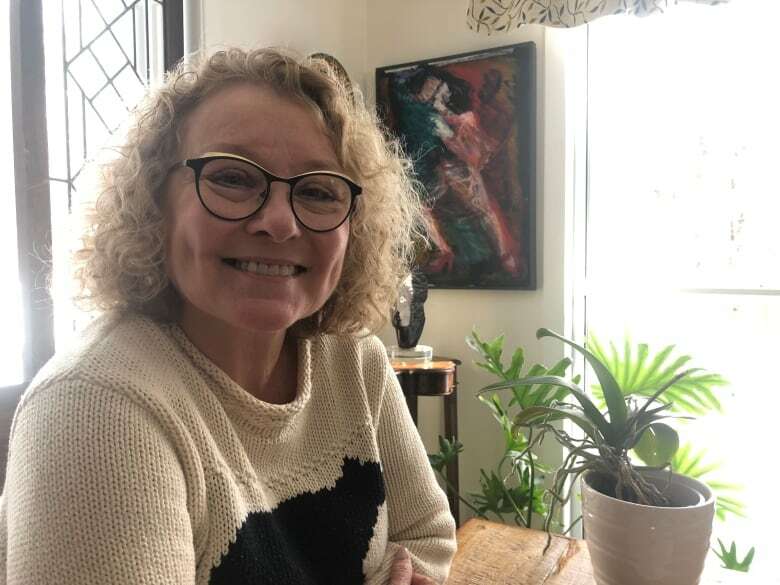 "The majority of caregivers are women and are exhausted," says Josée Legault, a columnist with the Journal de Montréal, herself the sole caregiver for her 58-year-old intellectually disabled sister. "If we get the help, the person we help will be better, and we will contribute more to society. We will give back." "This is an investment issue." True to his word, when the CAQ was elected with a solid majority last fall, Legault named Blais to his cabinet. She is the first cabinet minister in any jurisdiction in Canada with the express mandate of coming up with policies to ease a burden that the Vanier Institute of the Family estimates costs Quebec employers more than a billion dollars a year in lost productivity. "It could be a sea change," says Amélie Quesnel-Vallée, the research chair in policies and health inequalities at McGill University. She knows about the toll of being an informal caregiver from personal experience. For more than three years, Quesnel-Vallée split her time between research and writing and tending to her mother, who was dying from chronic pulmonary disease. Quesnel-Vallée says that if Blais manages to persuade the premier to improve conditions for caregivers in concrete ways, it may be because Legault recognizes that Blais has picked up on a profound cultural shift. "Quebec is ostensibly one of the most feminist societies in North America," says Quesnel-Vallée "This caregiving program might actually be born out of this same need and desire for women to keep being in the workforce and being supported, as well as having a family." The minister says she didn't come back from retirement to end up a lame duck in a limousine. When she decided to re-enter politics, she co-published a book, entitled De la proche aidance à la bienveillance(From caregiving to well-being), a 240-page compilation of personal stories and promises which reads like an election pamphlet. In it, Blais calls for concrete action — but not that much, and not that clearly. For example, she promises the CAQ will help grow a network of respite homes, but there are no specifics and no dollar figures attached. There is the promise of a provincial policy, which would not be a Canadian first: Manitoba has had its Caregiver Recognition Act since 2011. Simply placating caregivers with very public pats on the back would could cost next to nothing. Real change would cost hundreds of millions of dollars. At last December's workshop, the 200 caregivers filled out 20-page workbooks with page after page of answers to questions about what real change would look like. Tax measures to ease the costs of caring. Social and psychological services geared to the needs of caregivers. A hugely expanded network of respite homes. Legal status and official recognition of caregivers by governments, doctors and other health professionals. Better co-ordination of services so caregivers' time is less wasted. Financial support for those who cannot work outside the home because of their role as full-time caregivers. Some caregivers envision paid time off, similar to Quebec's paid parental leave program, and a change in pension laws that would allow a caregiver to continue contributing to a pension plan even while on caregiver leave. Blais insists the premier and the president of Quebec's Treasury Board, Christian Dubé, have told her they will come up with the money. "The minister is serious," said Josée Legault. "Whatever the end result is, she's resolved to try to get a concrete result out of this." 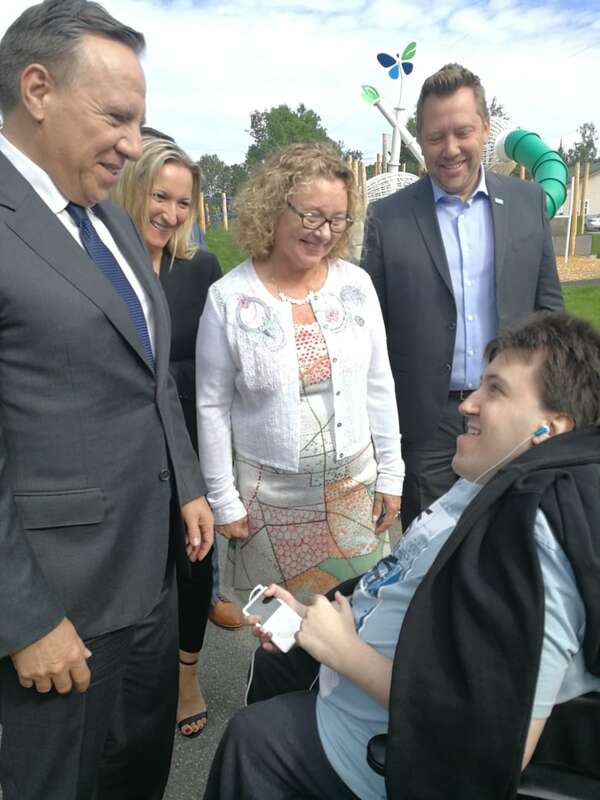 Legault says both Blais and the premier are sophisticated politicians who have played their cards right so far, by reaching out to informal caregivers themselves and politicians all across the spectrum. Fundamentally, says Legault, it's about love — the very basis of caregiving, but, "as Tina Turner sings, you know, 'What's love got to do with it?'" Legault answers her own question, from a place of personal experience. "At the end of the day, with all the love in the world, if you don't have the proper support, you will crumble. And you won't be able to be a caretaker anymore." Blais promises a draft of her Caregiver's Action Plan will be ready this spring. Click "listen" above to hear David Gutnick's documentary, "What's love got to do with it?"